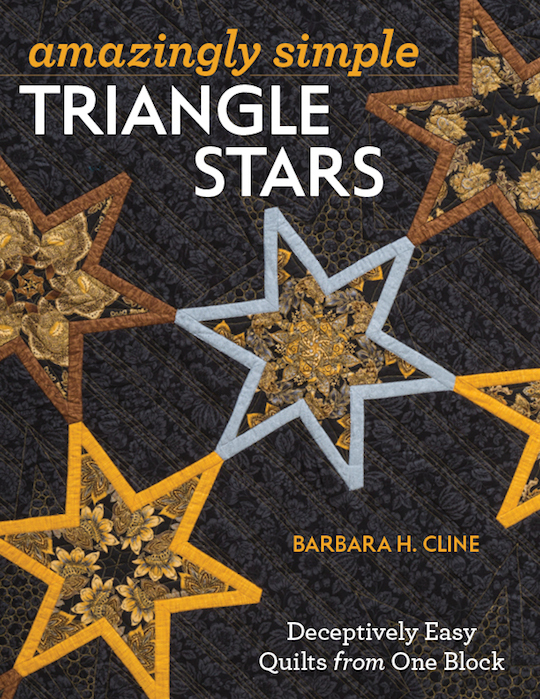 On April 31, the last stop of the blog tour, there will be a chance to win my book Amazingly Simple Triangle Stars. Congratulations on your new book. I fell in love as soon as I saw the cover - beautiful! 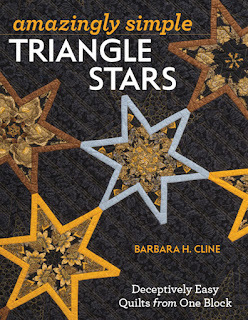 Hello Barbara ~ I am so pleased to see you've completed another book full of your gorgeous quilt patterns. First, it brought me back to your blog again and this time I am able to 'join' your blog via the follow by email option. The last time I was here that wasn't available so I didn't visit often at all so now I'm thrilled this is an option so I'll know whenever you've done a new post. Thank you for adding that to your blog as it's so helpful to follow a blog much easier. Congratulations on your newest book. 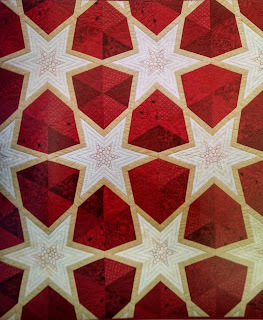 The cover quilt is gorgeous to me because of my two favorite colors used together are in this quilt. I have always loved the colors purple(my favorite color) and blue together in anything and the other colors you've added to those really add so much to this quilt. Just beautiful. I'm definitely following along on your blog tour. I'm not a quilter. But I sure do love following your blog. Maybe some day when I grow up. I enjoyed the blog tour and reading little bits about your family and quilting inspirations. Thanks for the chance to win a copy. Also thank you for the tutorial, I just couldn't imagine how those quilt could all be triangles, but it's so simple and so brilliant at the same time! Thank you! I posted earlier but I don't see it, so will try again to tell you how beautiful your book looks. I would want to make several of those you feature. I loved looking at all the pictures of your happy family.